As the days get cooler there is nothing I like more than to whip up a comforting soup in the best soup maker on the market, the Thermomix. In fact I think souping is the new juicing at this time of year and there are certainly de-tox benefits to a great chicken noodle soup or bone broth. It can be tough to wake up to an icy cold glass of well, green smoothie, all through the winter, so change it up, and soup it up! It’s time to get creative. The most common soup recipes using a Thermomix are more likely to be for a pureed soup because of course, how easy is it to sauté the aromatics, add the vegies, stock, cook, add cream, (or not) then puree all in one appliance? If pureed soups are your thing, make them an art form and go crazy with flavour. Think chilies, kaffir lime, lemongrass, leeks, homemade stock, umami paste, coconut sugar, soy sauce, tamarind paste, herbs of all description, coconut cream, almond milk; think salt, sweet, sour, bitter and then blend and taste to perfection. I often hear the argument that as the Thermomix bowl only has a 2.5 litre capacity it cannot feed a family and perhaps if you are used to grandma’s 25 litre pot of ever evolving but indeterminate soup on the stove all winter long, you could be right. I have always found there are ways around this, from adding piles of fresh diced veggies or sliced meats to serving bowls and then pouring a steaming hot soup over them, to steaming an entire cabbage, chicken, meatballs in the Varoma, over the base soup as you cook it. I love to pile up soup bowls with corn chips, homemade garlic bread croutons, diced cooked bacon, grated cheese, salsa verde, chopped herbs or coleslaw, dollops of sour cream or yoghurt, there are just so many ways to make 2.5 litres of delicious steaming hot soup stretch and feed the entire neighborhood. Fragrant, aromatic, filling, but elegant? And all of the above? Of course. I wrote a soup recipe book for our favourite soup maker, I hope you know that! And whilst it is full of everyday amazing family style soups, there are some beautiful, fine dining soups and ideas in that little cookbook that can help your souping transcend the every day. A delicate swirl of Parmesan cream and shaving of truffle can elevate the humble Mushroom soup to a religious experience for the diner. Go even further and garnish with a couple of sautéed scallops, a micro herb or three and you are in five star territory. Or why not serve soup as a dessert? Chocolate, coffee, fruit that you are used to seeing served hot in desserts are all great bases for a dessert soup. Top them with a big scoop of ice cream, some freeze dried fruit, candied nuts, shortbread crumb or shaved chocolate. The possibilities are endless. 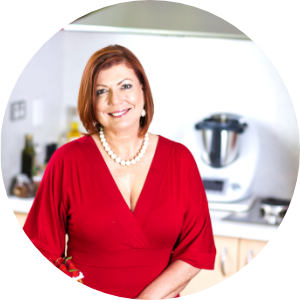 So if you are about to convert a favourite recipe to a Thermomix recipe, or just want to get all cheffy, or are hoping to get thinner/healthier through souping, there are a few rules to follow. Observe the Thermomix bowl limits. Don’t over fill especially if you plan on pureeing. Homemade is always best, so think ahead and make either your stock powder or liquid stock yourself and have it handy. It can be a flavour boost that you just cannot duplicate with a supermarket product. Don’t be afraid of adding flavour, but taste test as you do. Throwing the entire contents of the fridge vegie drawer may have it’s place in a stock paste recipe, but you want more than that out of your soup. Remember that adding ingredients to the dish after the soup is cooked will help you feed the family with ease and add fresh healthy flavour. 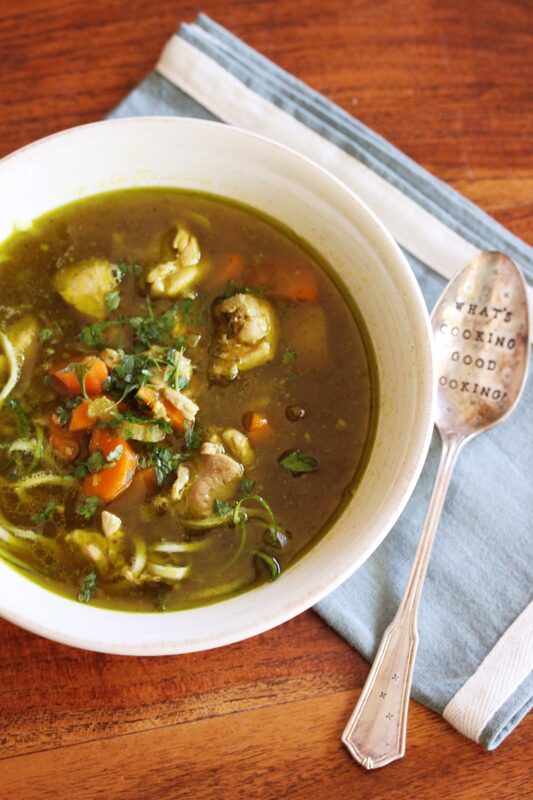 If souping for health, you are in good company. A South American proverb maintains that ‘Good broth will resurrect the dead.’ If you are prepared to juice it in summer and drink it, then souping it in winter and drinking it, is not that big of a stretch. Cure all ills this winter with a bowl of nutritious steaming home made soup. It’s traditional. As well as effective.